As our lives move on from day to day, and as we are wrapped up in our busy schedules, time seems to slip through our fingers. Our children grow up, our hair may turn white, and as much as we fight against it, we grow old. But just because our bodies grow old, doesn’t mean we feel old on the inside. Over the past few weeks I have been able to spend some time with my friend Pat as we help her pack up her precious belongings for her long journey back to her children and grandchildren. She is such a strong woman, and I see a lot of her personality in myself. 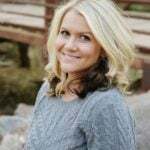 She has always been self-reliant, doing nearly everything to keep her family and life running smoothly. With the passing of her sidekick in life, her sweet ray of sunshine, she is left to battle her days by herself. And while that task may be a difficult one, she is a fighter, still young and strong on the inside as she once was many years ago. 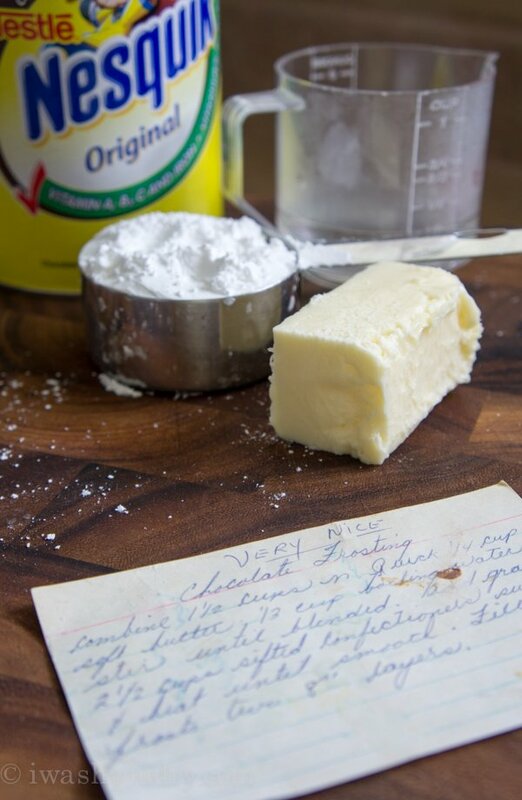 These old recipes that she has shared with me are simple, remarkable, and have withstood the test of time. Just like Pat. 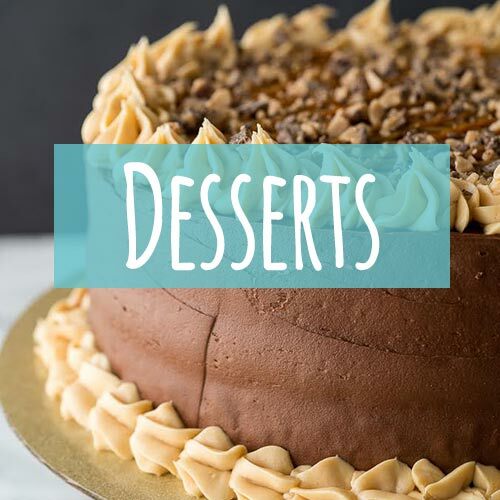 I know how much everyone has enjoyed her Fluffy Brown Sugar Icing recipe, so I couldn’t resist sharing this “Very Nice” Chocolate Frosting recipe. 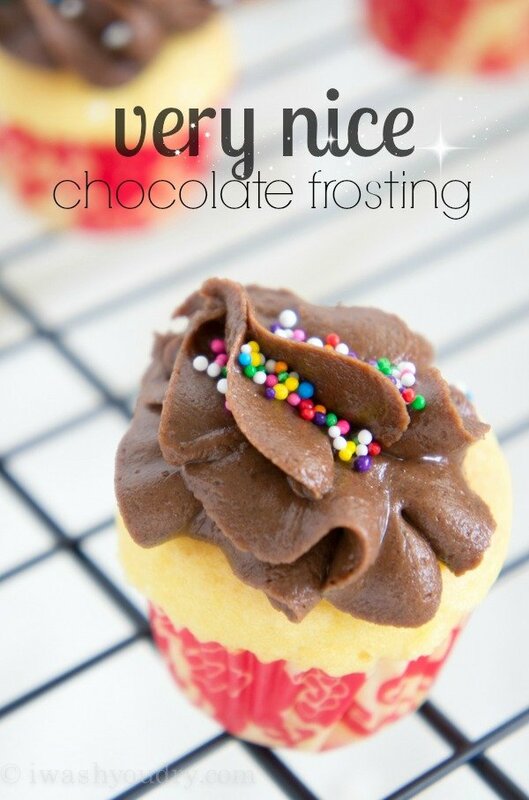 First of all, I love chocolate frosting. It’s classic and goes perfectly with just about anything. I had to make this, especially since she underlined “Very Nice”… It had to be fantastic. In her recipe she states to add boiling water and sifted confectioners sugar. I boiled some water and let the Nesquik, boiling water and butter mix blend until it was completely dissolved. Then I sifted the sugar and added it gradually. Smooth, chocolatey, creamy, and…well…VERY NICE! 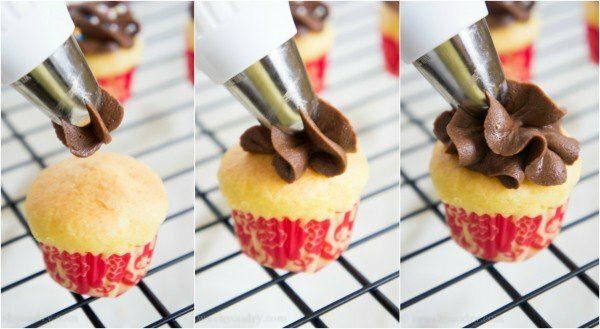 It was so easy to make this frosting, I couldn’t believe it. 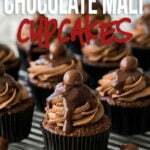 The recipe makes enough to frost a double layer 8″ cake, and pipes perfectly onto cupcakes. 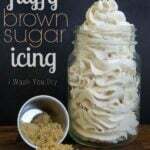 It holds it’s shape, and can even be left out on the counter and not melt like a typical buttercream frosting. 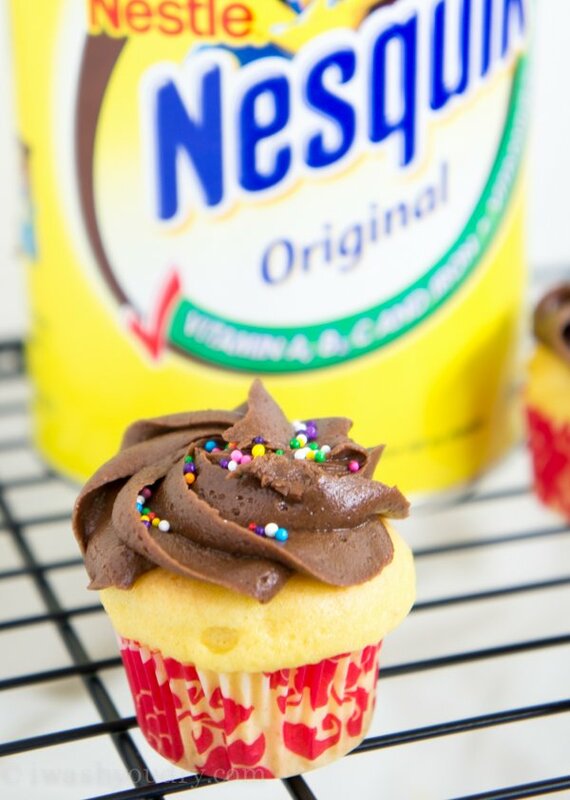 I haven’t tried it yet, but I’m sure you could make this frosting with other flavors of Nesquik, for a little variety. 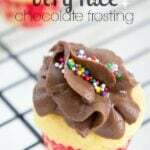 This is my new go-to recipe when I want a very nice chocolate frosting, so simple and completely delicious. All I can say is, thanks Pat! Just like you, this frosting has passed the test of time, and is sweeter than ever. 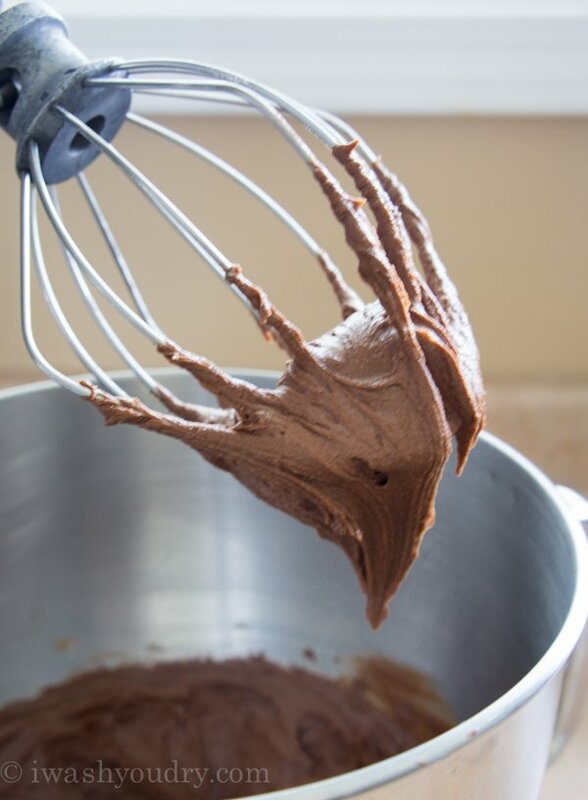 A “Very Nice” chocolate frosting that can be left on the counter and not melt like a typical buttercream, but still holds its shape. 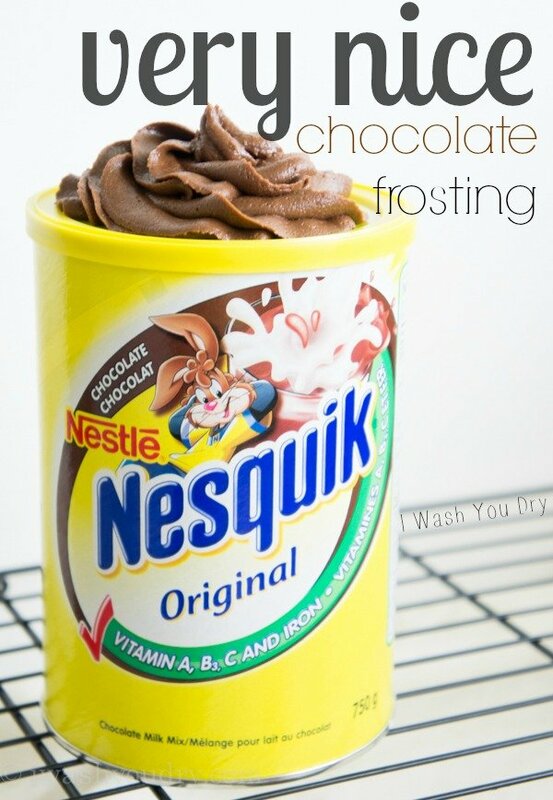 Combine the chocolate Nesquik, boiling water and butter in the bowl of your stand mixer. Blend until the Nesquik is no longer grainy. Gradually add the sifted powdered sugar, scraping down the sides of the bowl occasionally. Beat until smooth. I just made this and I love it! I don’t know if sifting in the sugar 1/4 cup at a time made a difference, but it held up well and was deliciously thick and creamy. The kids loved licking the beaters. Can’t wait to put it on the cupcakes. If it lasts that long. 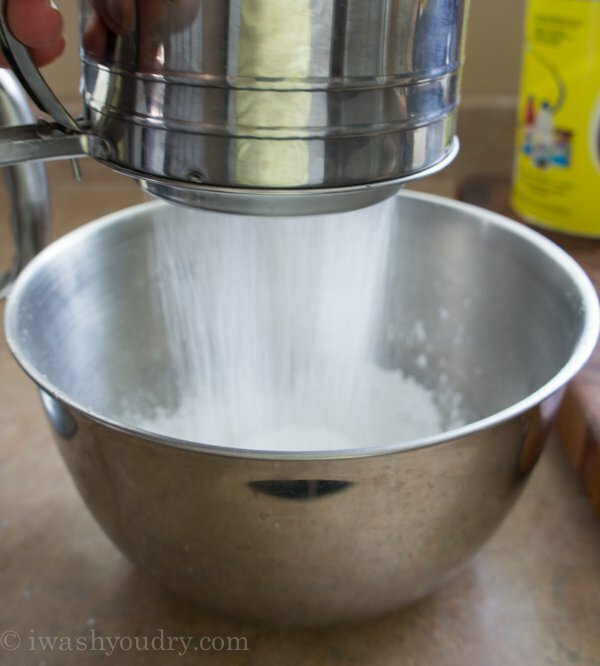 Do you measure the powdered sugar before you sift or after. I have a folder full of recipes that I need to go through. I’ll see if I can find some more hidden gems in there! What beautiful stories and memories of Pat. Thank you for sharing them! She sounds like a kindred spirit! Just made this stuff and it came out perfect! How can I get a copy of your recipes? Maybe a cook book? 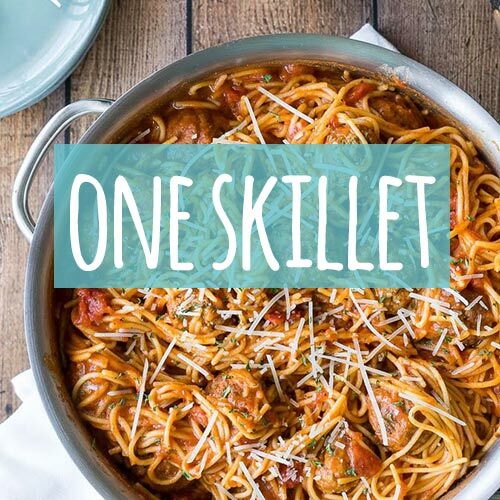 How can I get a recipe box or cook book with all your recipes in it? 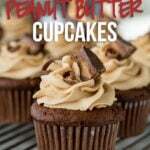 Is there any dark chocolate version of this recipe? At this time I do not have a Dark Chocolate version. Thanks a million I was just wishing for a nice chocolate frosting recipe to make that sounds delicious. This recipe doesn’t turn out well. Did anyone else actually make it? Everyone said the pictures look nice. Those pictures are definitely not how mine turned out… I think there’s not enough butter in this recipe and too much water… Thoughts? Just tried to follow this recipe. It comes out watery… Idk what I did wrong. But the recipe looks like not enough butter and maybe no water?? Anyone else actually make it? Everyone said that the pics look good, but no one made it… Thoughts? Hi Richard, you’ll want to make sure to follow the recipe exactly. Any extra butter or water and it won’t have the right consistency.